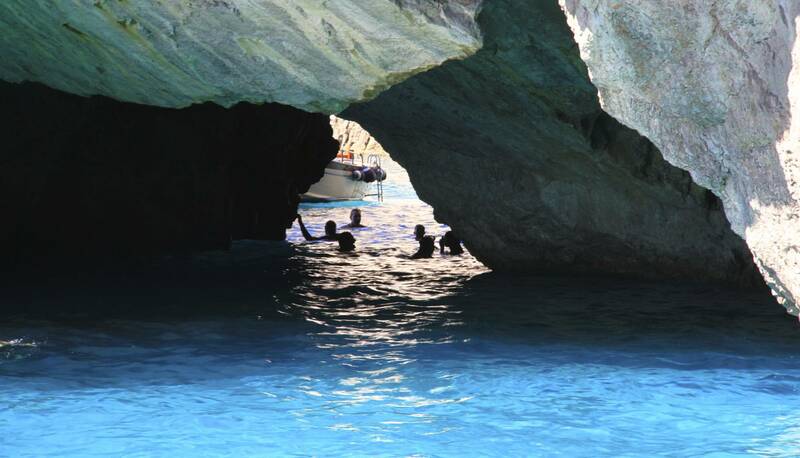 Enjoy a day of sun on the sea during a boat tour entirely dedicated to you. 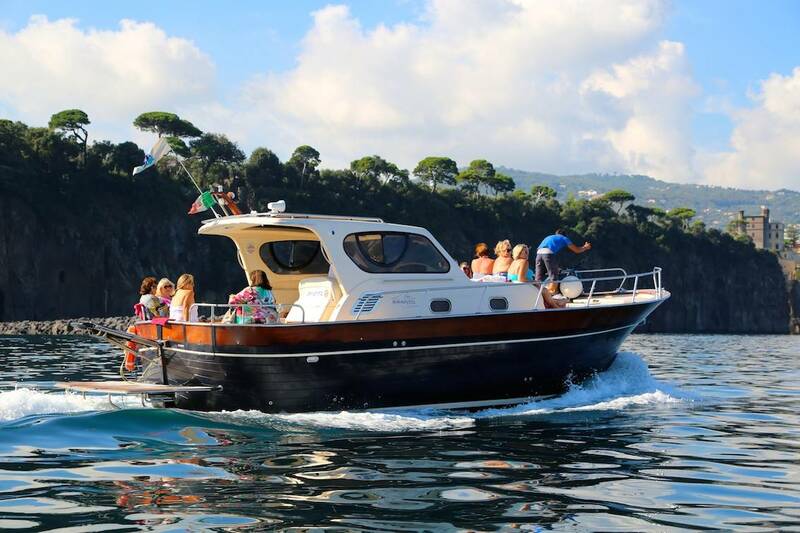 On board of a typical Sorrento boat, you will admire the panorama of the Gulf of Naples and Capri. 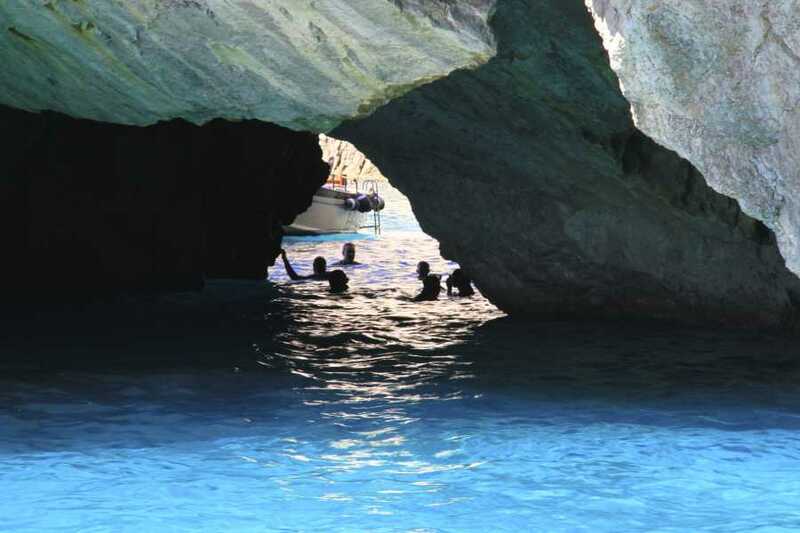 An enchanting boat tour around the island, to discover the natural beauty of the coast: natural arches, hidden caves, breathtaking views and much more ... jump in the water and enjoy a drink in total relax. The tour begins with the pick-up from the meeting-point at the scheduled time and the transfer to the port. 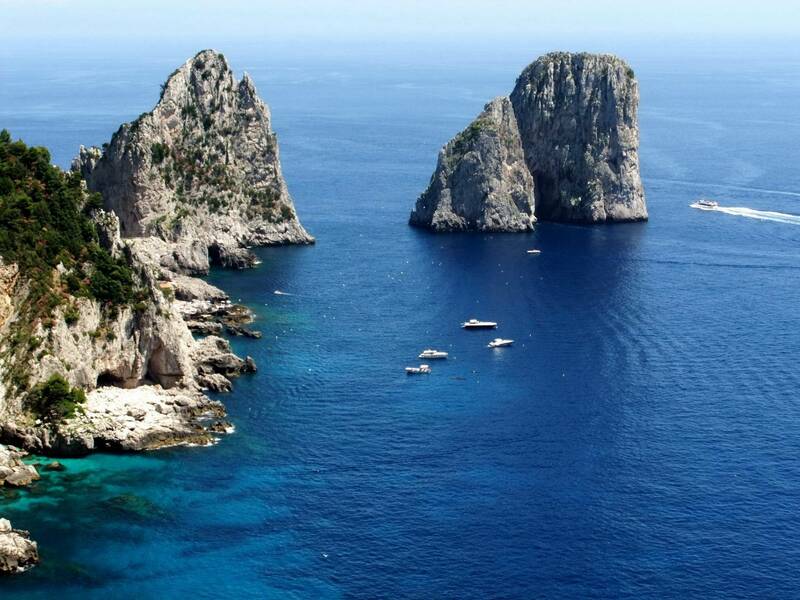 Once on board, you will sail to Capri, surrounded by the beauty of the Gulf of Naples, dominated by the majestic Vesuvius. 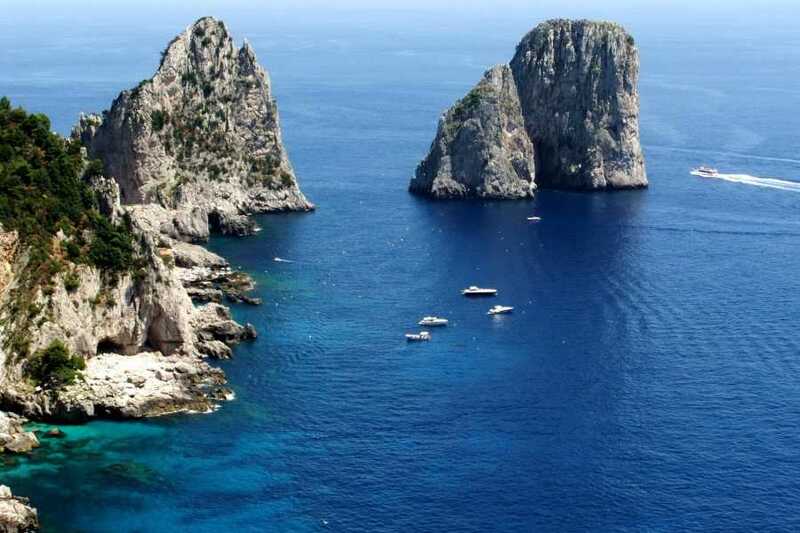 In Capri you will start the tour around the island by boat. You will enter the Marvellous Grotto, the White Grotto and the Green Grotto. You will admire the famous Faraglioni, the Villa of Curzio Malaparte, the Natural Arch and the Lighthouse of Punta Carena. There will be stops to swim and snorkel and to enjoy a drink on board. You will then have from 3 to 5 hours of free time to explore the island. During the return, you will taste the famous limoncello. Once arrived at the port, there will be transfer back to the starting point. The pick-up is at 8.30am at the entrance of the Star Hotel Terminus, Piazza Giuseppe Garibaldi 91, Naples.